Scrambled eggs with tomatoes, a simple yet delicious egg dish. Prepare it within 20 minutes, absolutely perfect for people who required a quick and good meal. Juicy tomatoes, mix with soft scrambled eggs, and serve on top of rice, noodles or making a scrambled egg sandwich. 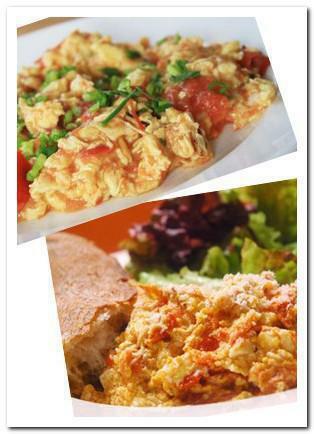 It can really open up your appetite with the sweet and sour flavor from tomatoes and nice scrambled egg texture. Beat eggs in a bowl until the whites and the yolks make a smooth mixture. Melt butter in a skillet with medium heat. Add tomatoes and stir fry for around 10 to 20 seconds. Add sugar, stir and mix. Add eggs. Stir until the eggs are almost firm.